A US District Court for the District of Columbia announced that it will grant the Federal Trade Commission’s (FTC) motion for an injunction to block Wilhelmsen’s acquisition of Drew Marine Technical Services.Consequently, Wilhelmsen and Drew have agreed to abandon the transaction.“We disagree with the views of the US competition authorities. This would have been an important strategic investment for our group, which we believe would have meant better services and better prices for our customer. The U.S. Federal Trade Commission said on Friday it would challenge in court the Norwegian company Wilhelmsen Maritime Services' plan to buy smaller U.S. rival Drew Marine Group. The FTC said the $400 million proposed deal would reduce competition in the market for marine water treatment chemicals, used in a ship's boiler water and engine cooling water systems. If Wilhelmsen closed the deal with New Jersey's Drew Marine, the FTC said the company would have 60 percent of the market for marine water treatment chemicals, while its closest competitor would have 5 percent. "We disagree with the FTC's evaluation and will continue to work towards a positive outcome," Wilhelmsen spokeswoman Benedicte Teigen Gude told Reuters. The maritime community is no more immune from cyber threats than any other entity that relies on computers and the internet. The maritime industry, though, constitutes part of the world’s critical infrastructure. Thus, the consequences of a successful cyber-attack on a maritime entity could be far greater than a successful cyber-attack on, for instance, a bakery. Consequently, it is important that the maritime sector and its numerous constituents adopt reasonable measures to deter, detect, and recover from cyber-attacks. Currently, much of the world’s attention is focused on terrorism. Cyber-attacks by terrorists are a real threat and steps must be taken to counter them. More commonly, though, cyber-attacks are launched by criminals, nation-states, and corporate spies. 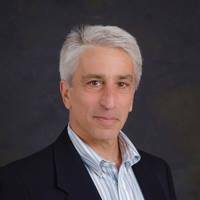 Caribbean Cruise Line Inc. has agreed to a $7.73 million settlement after the Federal Trade Commission (FTC) and 10 state attorney generals sued the Fort Lauderdale-based company for disguising illegal sales calls as legal political survey robocalls. The company will pay $500,000 of the fine and the rest will be partially suspended. Political survey robocalls to landline phones are exempt from the FTC's do-not-call and robocall rules because they aren't used to sell anything. The FTC said that Caribbean Cruise Line Inc. made billions of robocalls to sell cruise packages between October 2011 and June 2012, which included between 12 and 15 million calls per day. Enterprise Products Partners LP said on Wednesday that companies using its crude oil storage facility in the Houston Ship Channel must pay extra for dock services, brushing off complaints from client BP Plc . "We believe if you want a service, you pay for it," Enterprise Chief Operating Officer Jim Teague told analysts when asked about concerns, first reported by the Wall Street Journal, that the company's strong position in Gulf Coast storage gives it too much pricing power. Britain's BP has reportedly told the U.S. Federal Trade Commission that Enterprise, a major midstream company, has started charging $1 a barrel in dock fees for crude it handles at the Houston site, on top of storage fees. Since Houston is the top U.S. petrochemicals port, the dock fees could add up to big revenue. Understanding On Board Lubricants – examining impact on performance and the environment, too. Performance and sustainability—two words with growing importance in the marine industry, especially when it comes to lubricants. 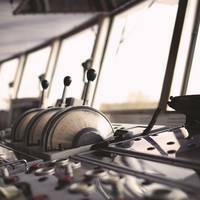 Performance is a must-have for a wide range of components to function properly aboard any ship, while regulatory vessel oversight and greater corporate understanding is providing an opportunity for enhanced sustainability. From bow thrusters to stern tubes, onboard lubricants are seeing the convergence of performance and sustainability. As part of President Obama’s comprehensive plan to move our economy toward domestic clean energy sources and cut carbon pollution, Secretary of the Interior Sally Jewell and Bureau of Ocean Energy Management (BOEM) Director Tommy P. Beaudreau has held the nation’s first-ever competitive lease sale for renewable energy in federal waters. The provisional winner of the lease sale, which auctioned two leases for a Wind Energy Area of 164,750 acres offshore Rhode Island and Massachusetts for wind energy development, is Deepwater Wind New England, LLC. When built, these areas could generate enough combined energy to power more than one million homes. “When you think about the enormous energy potential that Atlantic wind holds, this is a major milestone for our nation,” said Secretary Jewell. Houston, Texas (April 27, 2011) – Kirby Corporation (“Kirby”) (NYSE:KEX) today announced net earnings attributable to Kirby for the first quarter ended March 31, 2011 of $32.4 million, or $.60 per share, compared with $24.7 million, or $.46 per share, for the 2010 first quarter. The 2010 first quarter net earnings included a charge for retirements and shore staff reductions of $4.1 million before taxes, or $.05 per share. 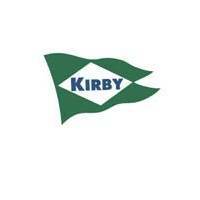 Kirby’s published 2011 first quarter earnings guidance range was $.56 to $.61 per share. Global Marine Inc. reported net income for the quarter ended September 30, 2001 was $62.1 million, or $0.34 per diluted share, on revenues of $314 million. For the corresponding 2000 quarter, the company reported net income of $32.3 million, or $0.18 per diluted share, on revenues of $272 million. $1.03 per diluted share, on revenues of $965 million. million, or $0.12 per diluted share, on the second quarter 2001 sale of a special-purpose rig. This compares to net income of $73.0 million, or $0.41 per diluted share, on revenues of $707 million for the nine months ended September 30, 2000. Bob Rose, Global Marine Chairman, President and CEO, said, "Global Marine's financial and operating performance was strong. The Federal Trade Commission granted early termination of the waiting period required under federal law for its proposed sale of Avondale Industries Inc. to Litton Industries Inc. The $529 million merger of the two military shipbuilders is subject to approval by Avondale shareholders at a July 27 meeting, after which the deal is scheduled to close. Elizabeth Dole will serve as godmother to Carnival Cruise Lines' new Carnival Spirit, the first in a new series of 88,500-ton vessels for the line. Mrs. Dole will officially name Carnival's newest ship at ceremony held dockside at the Port of Miami Friday, April 27. A former president of the American Red Cross who resigned her position in 1999 to pursue her own campaign for the U.S. presidency, Mrs. Dole's public service career began with her appointment as Deputy Assistant to President Nixon for Consumer Affairs in 1971. Over the years, she has directed U.S. public policy serving as a member of the Federal Trade Commission, Secretary of Transportation under President Reagan, and Secretary of Labor under President Bush. Mrs.
ENSCO International Incorporated and Chiles Offshore Inc. announced that the Federal Trade Commission and United States Department of Justice granted early termination of the waiting period under the Hart-Scott-Rodino Antitrust Improvements Act of 1976 for ENSCO's acquisition of Chiles. The termination of this waiting period satisfies a regulatory condition required for the previously announced acquisition. Chiles also announced that its Board of Directors has set July 5, 2002 as the record date for determining stockholders entitled to vote on the transaction with ENSCO, which is subject to stockholder approval at a special meeting of Chiles stockholders to be held on August 7, 2002. The European Commission in Brussels announced the clearance of the proposed combination of P&O Princess and Carnival. The EC's decision concludes that the proposed concentration would not lead to the creation of dominant positions which might impede effective competition in any European markets. The decision reflects the ease with which new operators can enter into or expand cruise operations and the rapid growth of the UK and German markets forecast for the coming years. "We are obviously very pleased with the conclusions reached by the European Commission," said Micky Arison, Chairman and Chief Executive of Carnival. "The Commission undertook an in-depth review of the proposed transaction, hearing arguments from all parties. Royal Caribbean Cruises Ltd. expressed disappointment over the clearance by the EU Commission of Carnival Corporation's hostile bid for P & O Princess Cruises. in Europe nor with earlier reports of the EU inquiry's own findings. third parties would have been appropriate, especially in view of a sudden change in the apparent findings of the Competition Commission as reported in recent days. Royal Caribbean has been allowed no opportunity to comment on this change of direction, signalled at the start of last week. effectively reversed an earlier conviction among Commission officials and many others involved in the process, based on many months of analysis, that Carnival's bid should be prohibited or cleared only subject to major disposals. GlobalSantaFe Corporation (NYSE: GSF) and Transocean Inc. (NYSE: RIG) announced that on September 19, 2007, the Premerger Notification Office of the Federal Trade Commission and the Department of Justice granted early termination of the waiting period under the Hart-Scott-Rodino Antitrust Improvements Act in connection with the proposed combination of GlobalSantaFe and Transocean. Termination of the waiting period satisfies one of the conditions to the closing of the transaction, which was previously announced on July 23, 2007. The two companies currently estimate that they will complete the transaction by the end of 2007. The transaction remains subject to approval by both companies' shareholders, certain other regulatory clearances and other closing conditions. Hercules Offshore in the US has announced that the Department of Justice and the Federal Trade Commission have granted early termination of the government's pre-merger antitrust review of the transaction under the Hart-Scott-Rodino Antitrust Improvements Act of 1976, as amended, relating to the previously announced merger with TODCO. On March 22nd, Hercules Offshore announced that it had entered into an Agreement and Plan of Merger with TODCO and The Hercules Offshore Drilling Company LLC, a wholly owned subsidiary of Hercules Offshore. The merger remains subject to certain stockholder approvals, as well as the satisfaction of other customary closing conditions. Hercules Offshore and TODCO previously announced the meeting date for the stockholders of the companies. Maritrans Inc., announced its third quarter financial results. Net income for the quarter ended September 30, 2006 was $4.0 million, or $0.33 diluted earnings per share, on revenues of $49.2 million. This compares with net income of $6.4 million, or $0.74 diluted earnings per share, on revenues of $44.9 million for the quarter ended September 30, 2005. For the third quarter ended September 30, 2006, net income included the reversal of an income tax reserve of $1.3 million, or $0.11 diluted earnings per share. In the prior year, net income for the quarter ended September 30, 2005 included a reversal of an income tax reserve of $1.2 million, or $0.14 diluted earnings per share. The Federal Trade Commission has cleared the $455 million purchase of Maritrans Inc. by Overseas Shipholding Group. New York-based Overseas Shipholding announced last month it would buy Tampa-based Maritrans paying $37.50 in cash for each share of Maritrans stock. Recent Reuters reports state that the Federal Trade Commission has sent subpoenas to Big Oil companies in its investigation of gasoline price manipulation and oil refining capacity constraints, and hopes to complete the probe next spring. The agency sent out dozens of subpoenas to companies, including oil giants Exxon Mobil, Chevron, ConocoPhillips, and the U.S. units of BP and Royal Dutch Shell Plc. The FTC probe was ordered by Congress last summer as part of a broad energy bill with $14.5 billion in industry incentives, according to the report. Lawmakers included the provision because of a steady climb in crude oil and gasoline prices throughout 2005. ConocoPhillips has completed the merger of Conoco Inc. and Phillips Petroleum Company, following clearance by the U.S. Federal Trade Commission earlier today. Shareholders of both companies and all U.S. and foreign regulatory authorities cleared the merger earlier this year. ConocoPhillips is the third-largest integrated U.S. energy company. On a global basis, it is the sixth-largest publicly held energy company based on hydrocarbon reserves and production, and it is the fifth-largest global refiner. ConocoPhillips has net proved reserves of 8.7 billion barrels of oil equivalent (BOE), daily oil and natural gas production of 1.7 million BOE, and a refining capacity of 2.6 million barrels per day, and has assets of $75 billion. Carnival Corporation reported net income of $500.8 million ($0.85 Diluted EPS) on revenues of $1.44 billion for its third quarter ended August 31, 2002, compared to net income of $495 million ($0.84 Diluted EPS) on revenues of $1.49 billion for the same quarter in 2001. Net income for the nine months ended August 31, 2002 was $824.6 million ($1.40 Diluted EPS) on revenues of $3.33 billion, compared to net income of $809.9 million ($1.38 Diluted EPS) on revenues of $3.58 billion for the same period in 2001. Earnings for the third quarter of 2002 included a $34 million income tax benefit from the company's Costa Cruise operation resulting from a new Italian investment tax law. This was partially offset by a provision of $20 million related to a vessel write-down. Firm headquartered in Washington, D.C. and regular antitrust counsel to Carnival Corporation, praised today's decision by the Federal Trade Commission (FTC) to close the investigation into the proposed combination of Carnival Corporation and P&O Princess Cruises plc. Carnival to proceed with its offer to Princess shareholders. The European Commission had previously granted clearance. the relevant industry and the impact of the specific transactions under review. Hogan & Hartson advised Carnival on U.S. antitrust issues related to the proposed P&O Princess acquisition from the beginning of the transaction and represented the company in the FTC investigation. firm coordinated "rest of world" competition filings outside of the U.S. and the European Union.